VueScan for Mac is a scanning program that works with most high-quality flatbed and film scanners to produce scans that have color fidelity and color balance. Its very easy to use, and also has advanced features for restoring faded colors, batch scanning and other features used by professional photographers. 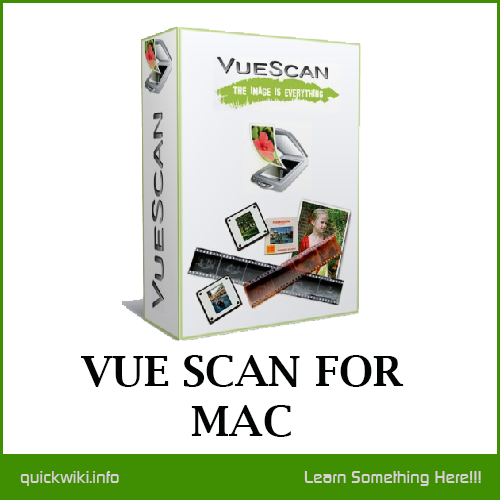 VueScan for Mac changes nothing on your system, installs nothing in your operating system and all other scanner software will continue to function. You can purchase VueScan at any time and instantly get a serial number that disables image watermarking.